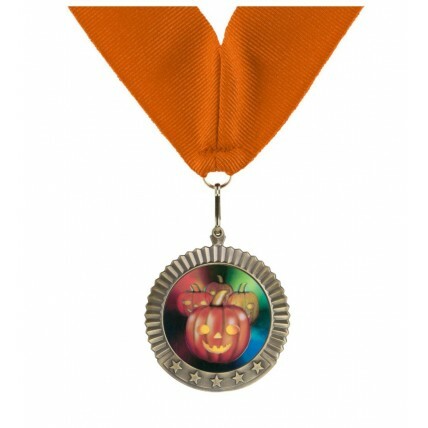 Make your Halloween party more fun with a spirited Jumbo Halloween Medal for your trick-or-treaters! 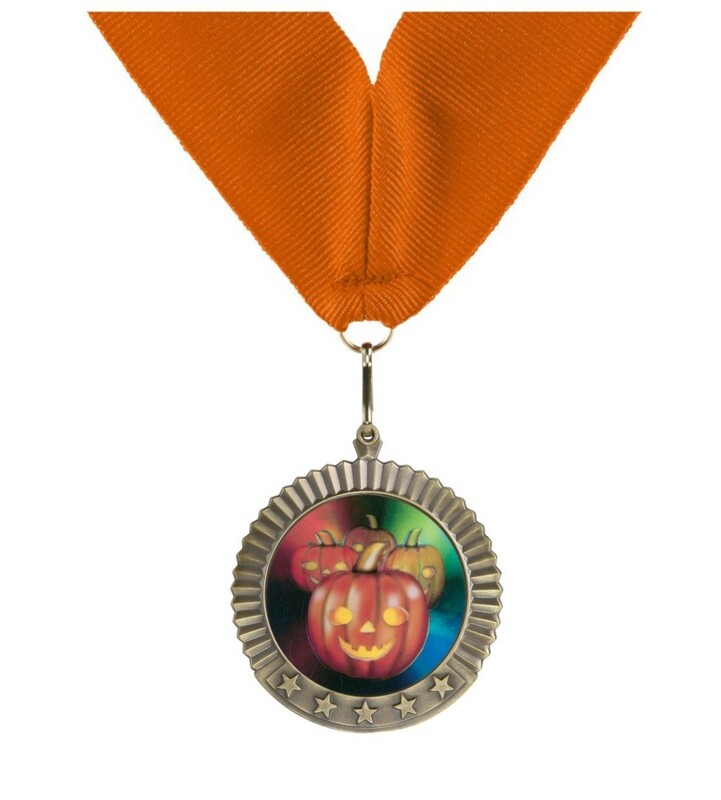 This 2.75" medallion features a friendly jack-o-lantern mylar inside a gold, silver or bronze medal. Your choice of neckdrape color.